Recently, I found a marriage record for which I had been looking for a long time. My great-grandparents, George and Ursula Bellan were Croatian immigrants who immigrated to the U.S. in 1893 and 1898, respectively. 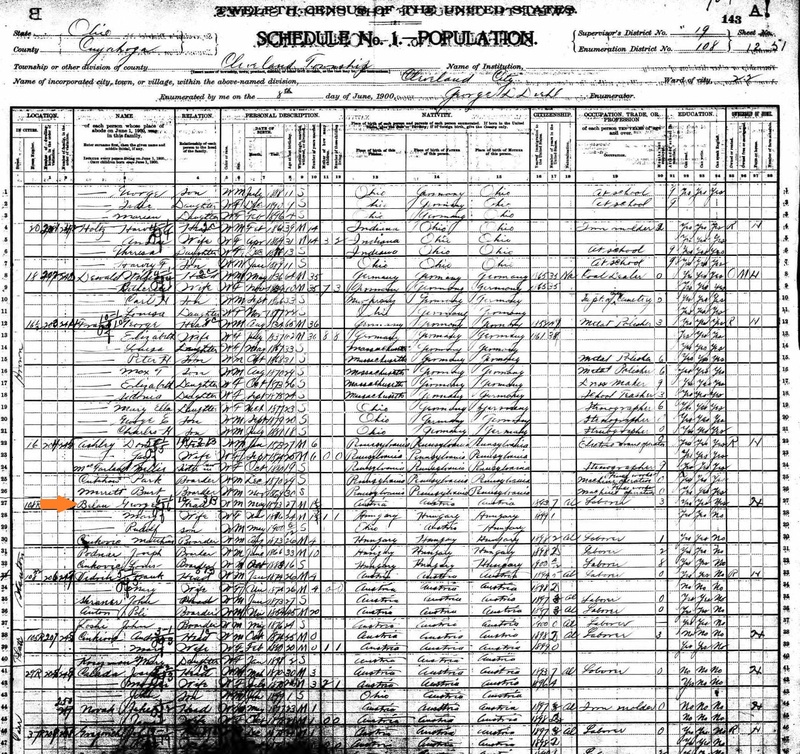 My great-grandmother indicated on her 1898 passenger ship manifest that she was going to her 'husband,' but the 1900 U.S. Census indicated that they had only been married 1 1/2 years. So which one was correct? Had they been married in Croatia before George left for America, or did they wait until Ursula arrived in America? 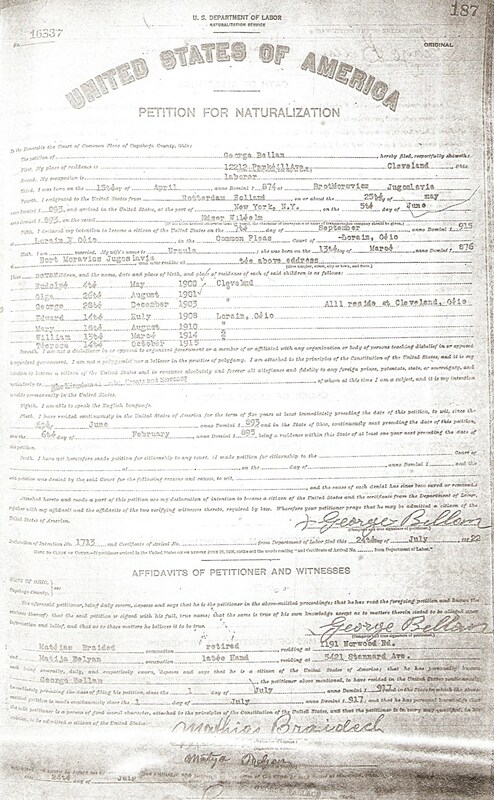 Well, a couple of years ago, I visited the Cuyahoga County Archives in Cleveland, Ohio, and they were NOT able to find a county marriage record for George and Ursula. The researcher did warn me that there may have been just a church wedding, so it may not have been recorded at the county level. The wedding took place on 29 May 1892 in Podstene, Primorje-Gorski Kotar, Croatia. Juraj, son of Franjo and Rozalija Beljan, was 19 years old and resided in Sela, Brod Moravice. Ursula, daughter of Mate and Ursula Benički, was 18 years old and from Doluš. The witnesses were Miko Brajdić and Anton Benički. Anton was probably Ursula's uncle. Brajdić was the maiden name of Juraj's mom, so Miko is likely a maternal uncle or cousin of Juraj. About a year later, Juraj (soon to be George), left for America, not to see his wife for five years. 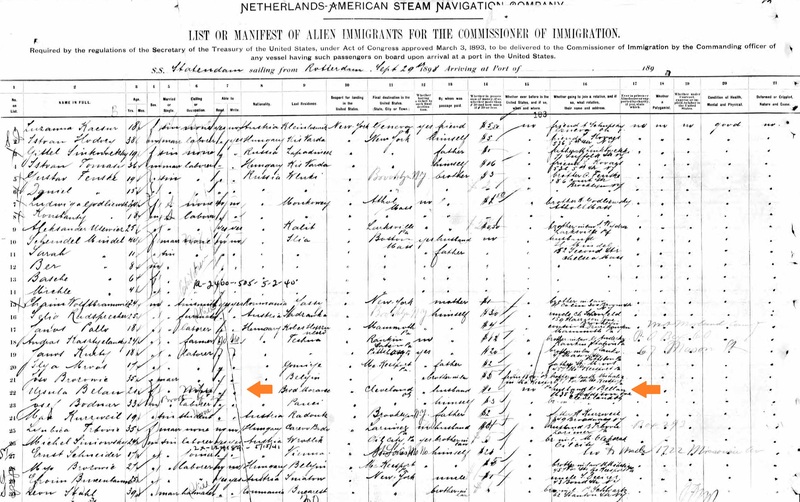 According to his Petition for Naturalization, George arrived in America on 5 Jun 1893. Marriage Record Source: FHL microfilm 2099984. Marriage, Podstene, Primorje-Gorski Kotar, Croatia. p 70, Vjencani 1858-1913, Hrvatskog Drzavnog Arhiva, Zagrebu.